When baking, my first source for recipes is always the Joy of Cooking, however, given the long list of ingredients that I have to work without to accomodate everyone’s allergies, no recipe is ever as is. 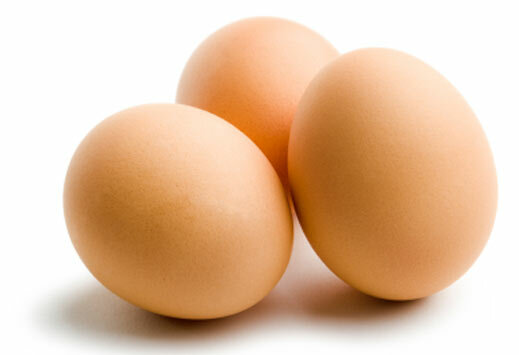 One of the toughest for substitution is egg, especially in cakes. So I’ve done quite a bit of research on egg substitutes. , but both contain potato and my youngest is allergic. Applesauce has also worked well for me, but yet again youngest can’t have it. Milk is also good but the only milk everyone in my house can drink is rice, and rice milk is not a great egg substitute. I have found that mixing and matching often works well. I just made a cake that called for 3 eggs, instead, I added two bananas and 2 tbsp of arrowroot powder. The cake came out beautifully!